Examples, solutions, videos, stories, and songs to help Grade 3 students learn division using models and multiplication facts. 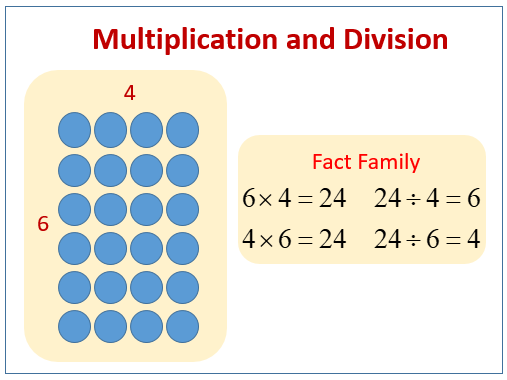 The following diagrams relate multiplication and division facts. Scroll down the page for more examples and solutions.